With assistance from the National Weather Service, the NYSDOT Emergency Operations Center developed two ArcGIS software-based map applications in January 2015 to help emergency managers better respond to severe snowfall events. 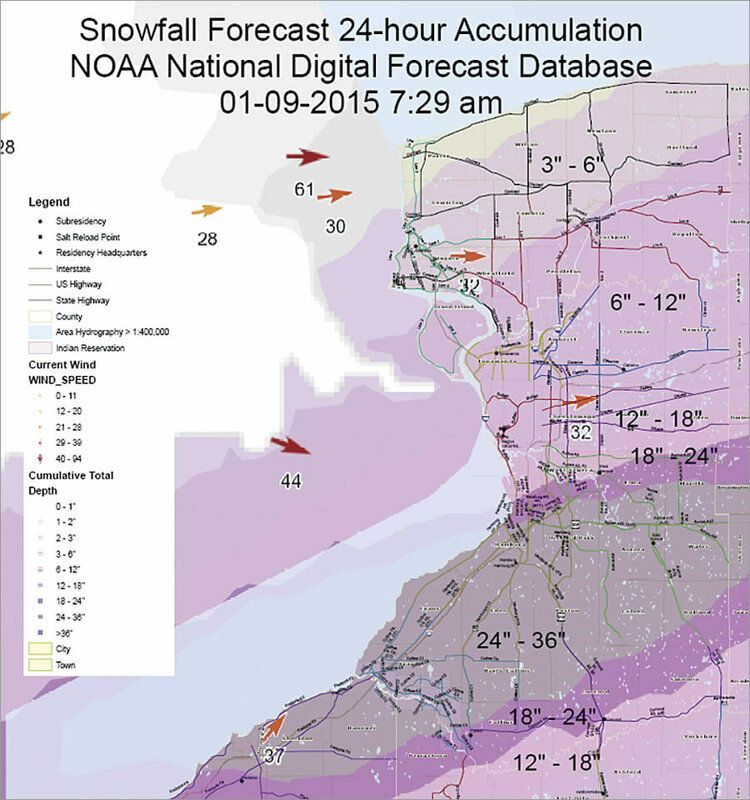 To achieve more encompassing situational awareness, practitioners wanted to create reliable snowfall forecast maps that could be analyzed using GIS to predict a storm's impact on the transportation network. 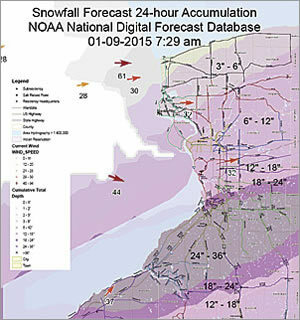 NYSDOT ended up consulting with the National Weather Service's Buffalo field office, which recommended using the Severe Weather Web Map for its mapping applications. The map uses NDFD gridded raster data in KML format to show predicted snowfall, so NYSDOT implemented it as its basemap in ArcMap. A critical step was being able to convert the data from KML into layers using the KML To Layer tool in ArcGIS for Desktop, which allowed NYSDOT to adjust the symbology and further refine the weather data.